Prior to hitting up the red carpet at a GQ party, Rihanna shared a picture with her fans to let them know that she misses them. 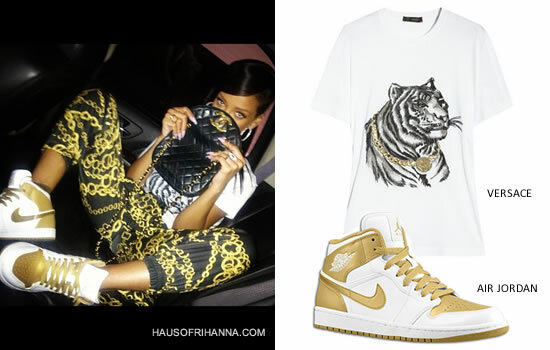 Rih was wearing a white Versace tiger head t-shirt, AQ/AQ‘s chain print jogger pants and the ‘Gold Medal’ Air Jordan 1 Phat sneakers. She also carried her favourite Chanel quilted handbag.